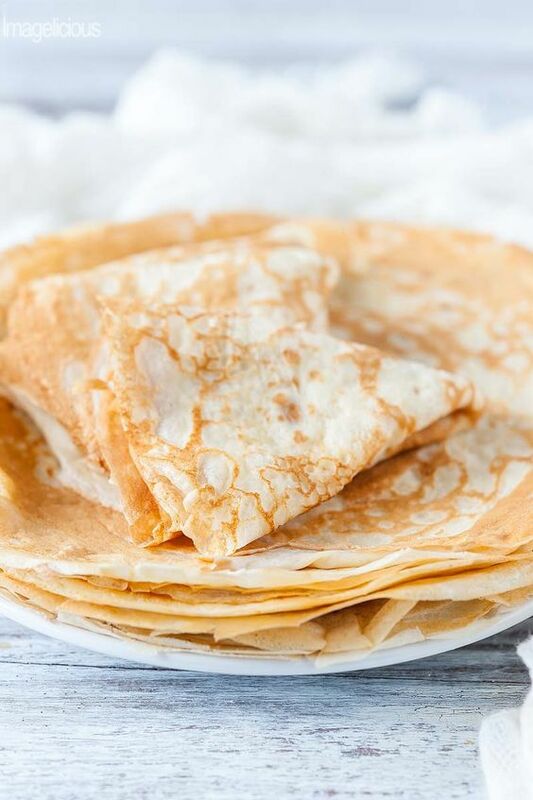 This breakfast takes only 5 minutes to put together, then a few minutes in the pan to cook and flip crepe. If you don’t have coconut cream on hand use any nut milk. Likewise if you don’t have buckwheat use an alternative gluten free flour. Put the egg and coconut cream in a bowl and using a hand whisk, combine. Add in the buckwheat flour, turmeric, S & P and whisk again until the mixture is smooth. Melt the coconut oil in a small non stick fry pan and add the mixture. Give it a few minutes on each side till golden and slide onto a plate ready to add your filling. When you bake salmon just add an extra piece into the oven for this recipe or your lunch salad. 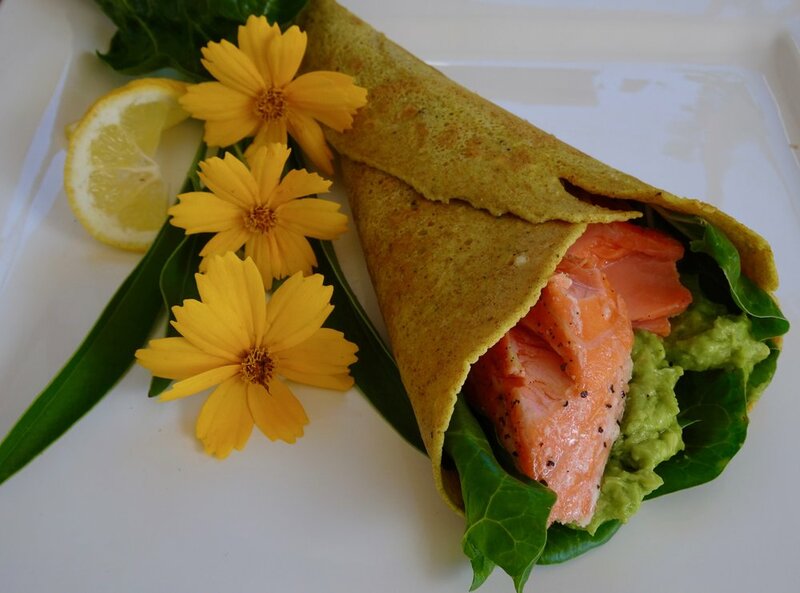 Once your crepe is on a plate, add kale or your chosen greens, avocado, salmon and a squeeze of lemon juice. Wrap and eat.